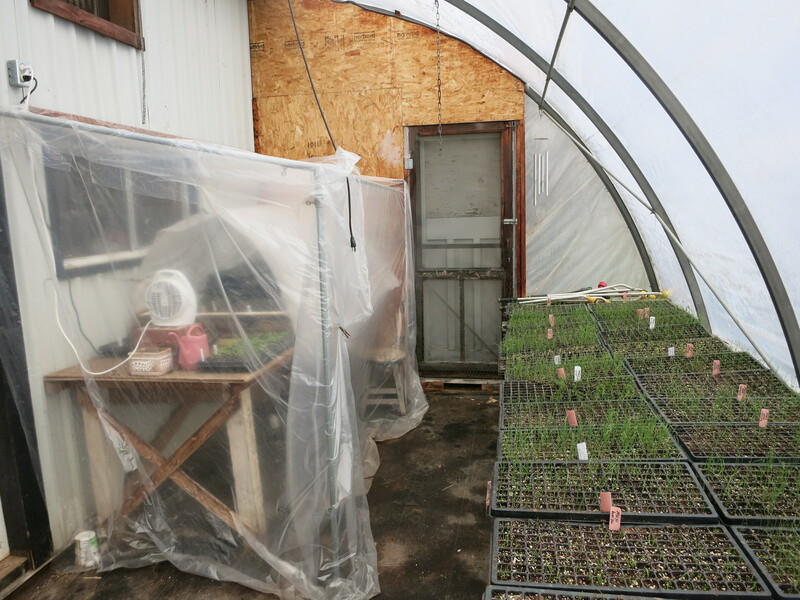 This is where most of the work is happening on our farm now – in our smaller greenhouse. 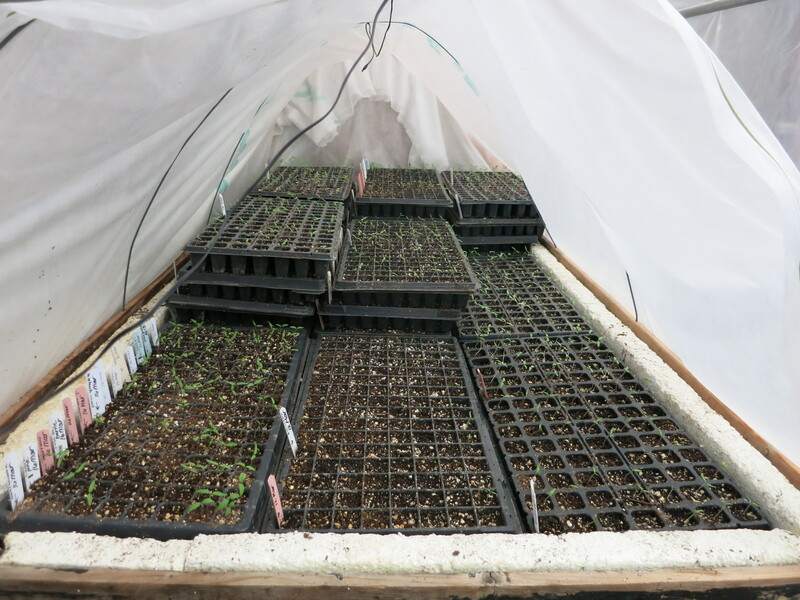 The seeds are planted in plastic trays and put on the germination bed. 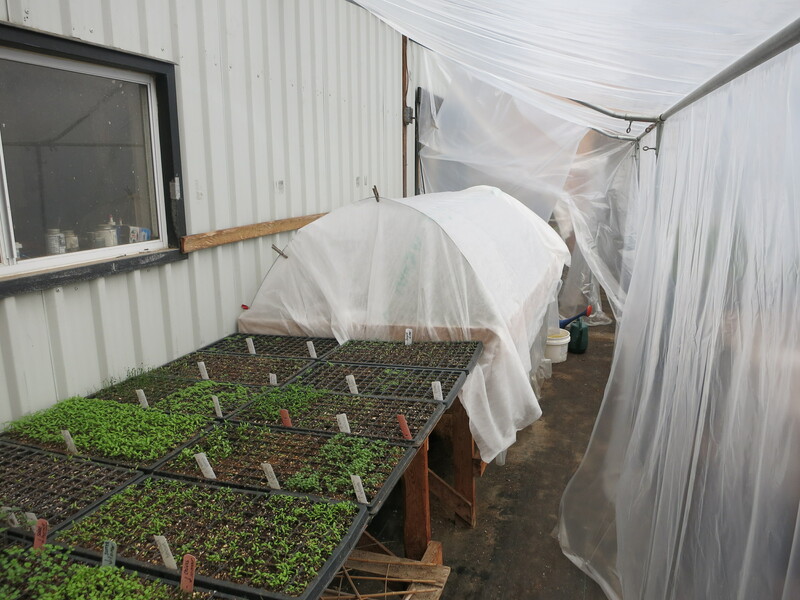 The germination bed has heating cables running through a layer of sand and surrounded by styrofoam. 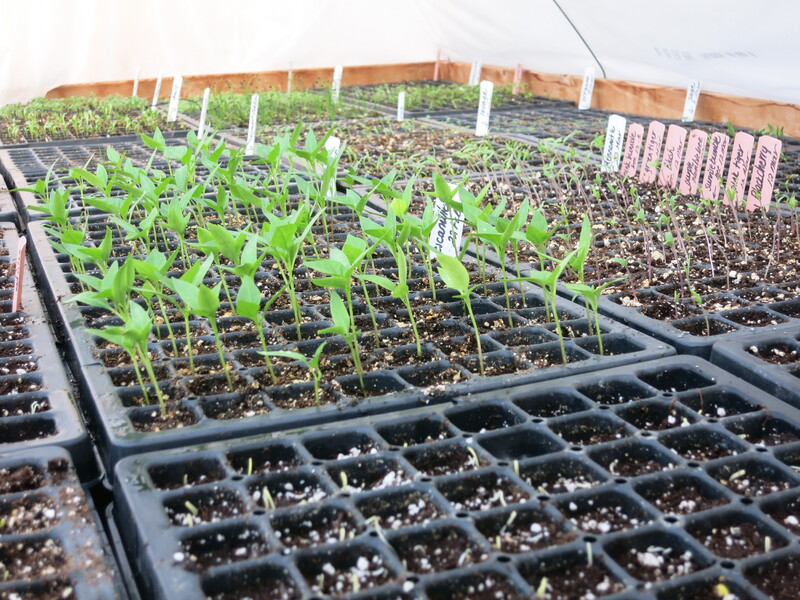 For seeds to sprout & grow, the temperature of the soil is important – more important than the air temperature. 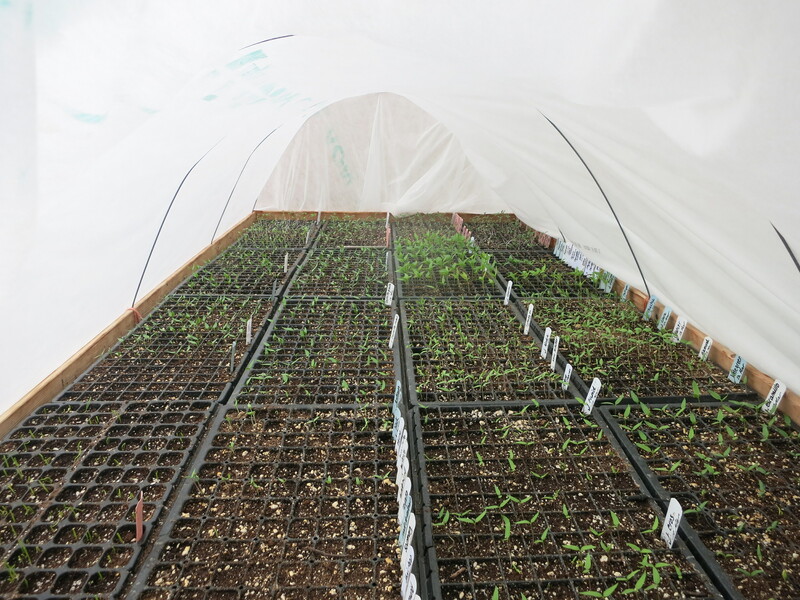 These heating cables warm the sand which warms the trays, and the seeds germinate usually in a few days. 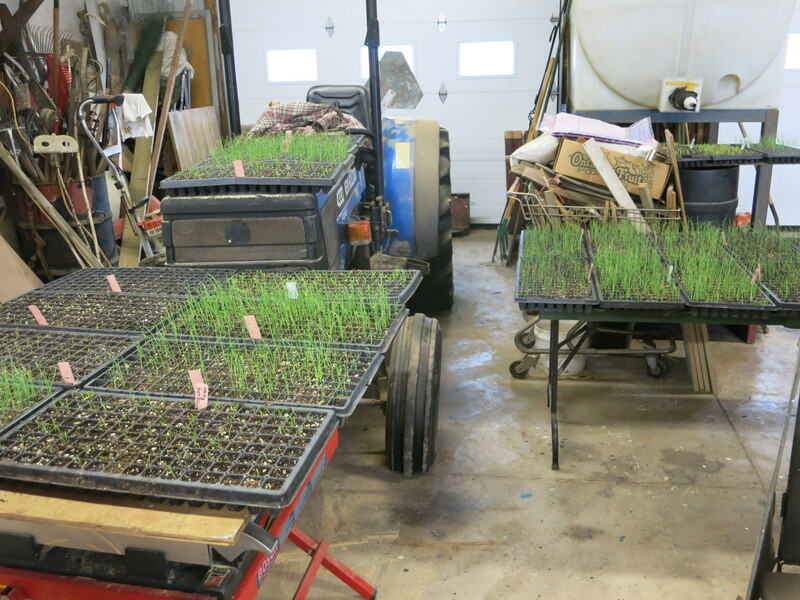 Light is not as important at this stage, so the trays are stacked up on each other until the seedlings start to poke through the soil. 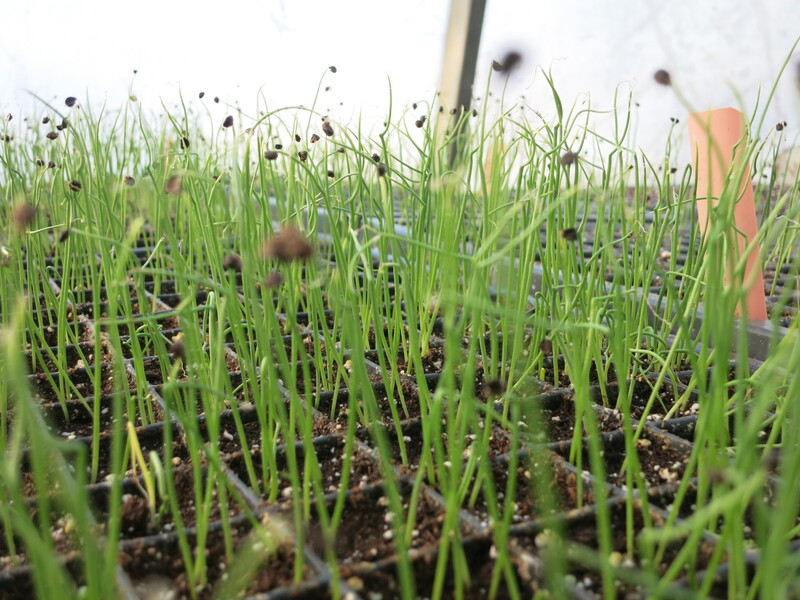 Once the plants are growing, the air needs to be warmer. 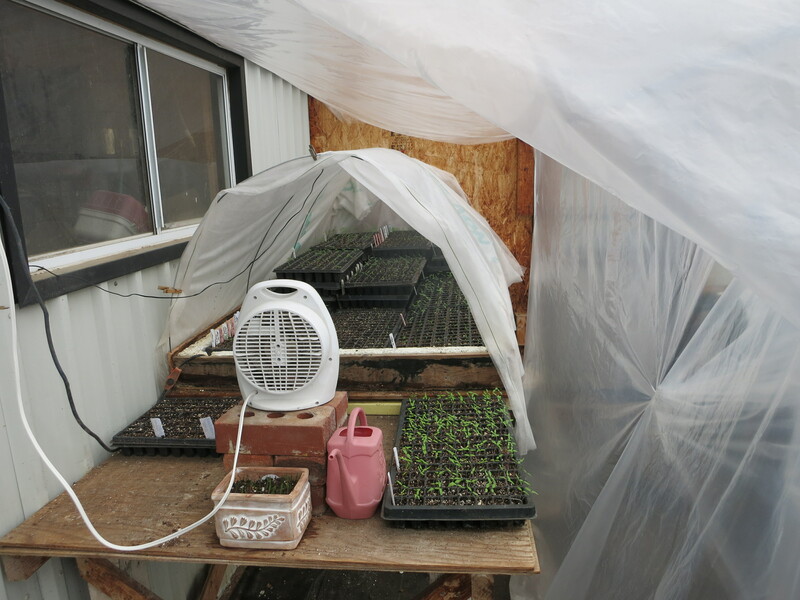 Sunny days provide enough heat but when the days are cloudy & colder, and during the night, a small space heater blow warmth onto the growing seedlings. 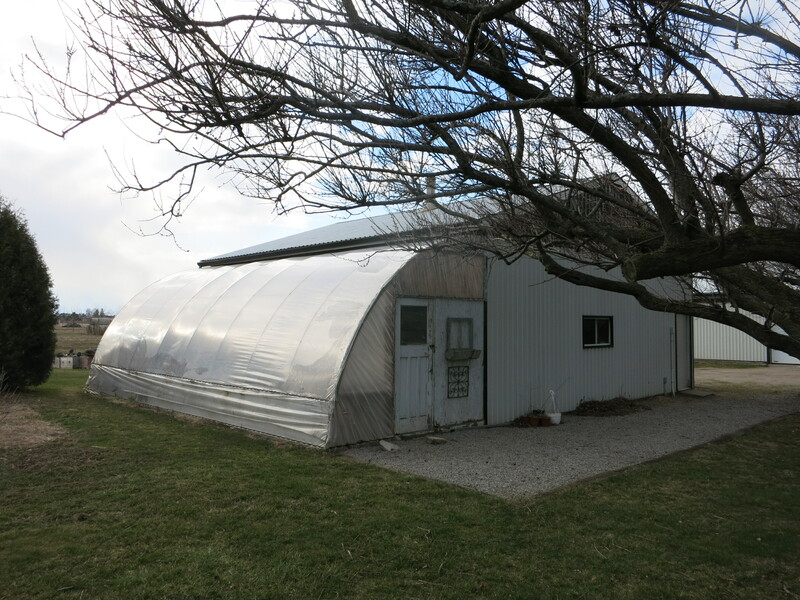 Each layer provides a few degrees of additional protection from the cold. If the nights get really cold, we bring the trays into the barn just to be sure. It’s a simple, primitive, low-tech set-up, but it works for us. 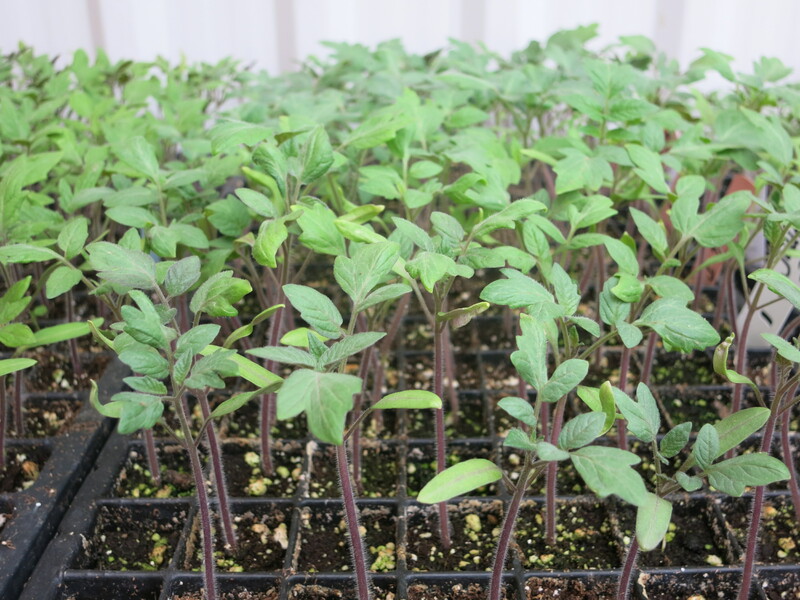 Because we rely mostly on the sun we have less control over the temperature, and the plants experience a wide variation. 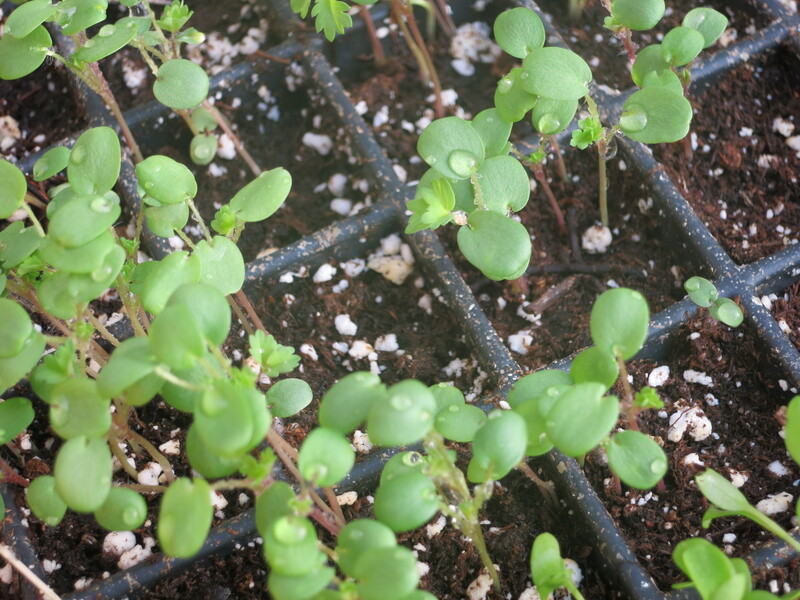 Perhaps they grow slower & take longer, but I think they end up sturdier & hardier. 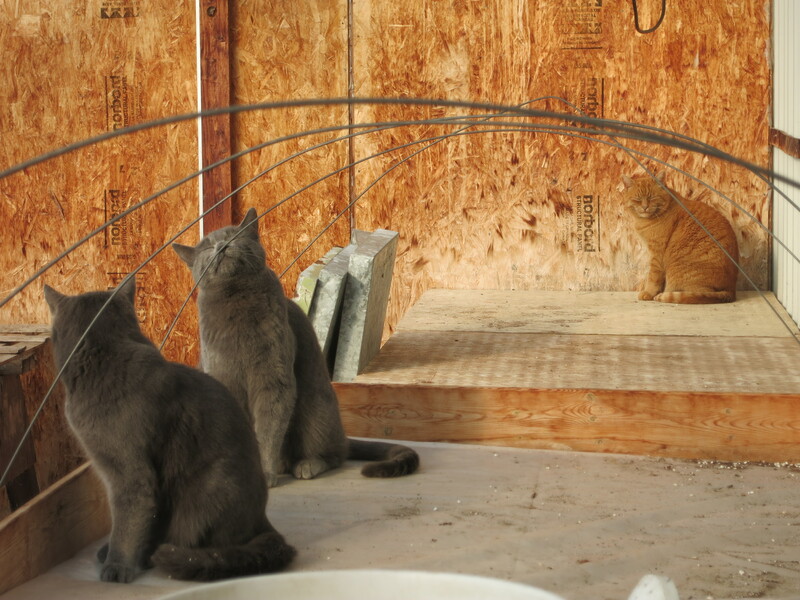 Now that the greenhouse is being used to grow plants, the big losers are the cats. All winter they enjoyed sunning & sleeping in the warmth. 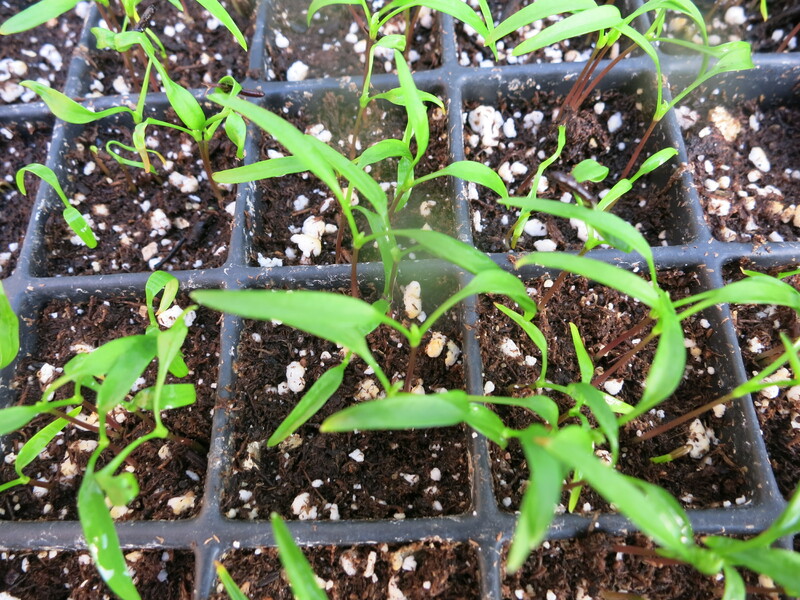 Now, the young ones are banished due to a lack of respect for the tender seedlings. Only Oliver is allowed in. 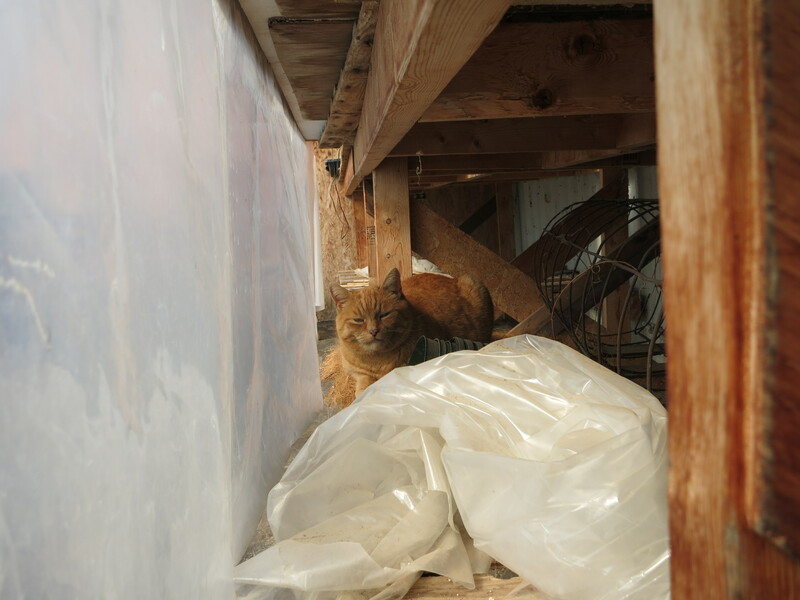 He has claimed a spot under the bench where he spends his days … dreaming & being lazy. Thanks Lynne! I’ll pass on your words to Oliver – but he needs no encouragement.